When it comes to a show like American Horror Story, you know the general premise of each season is bound to be pretty terrifying. (I mean, it has the word "horror" right there in the title.) However, diehard viewers of the anthology series may be in for an extra dose of darkness this fall. 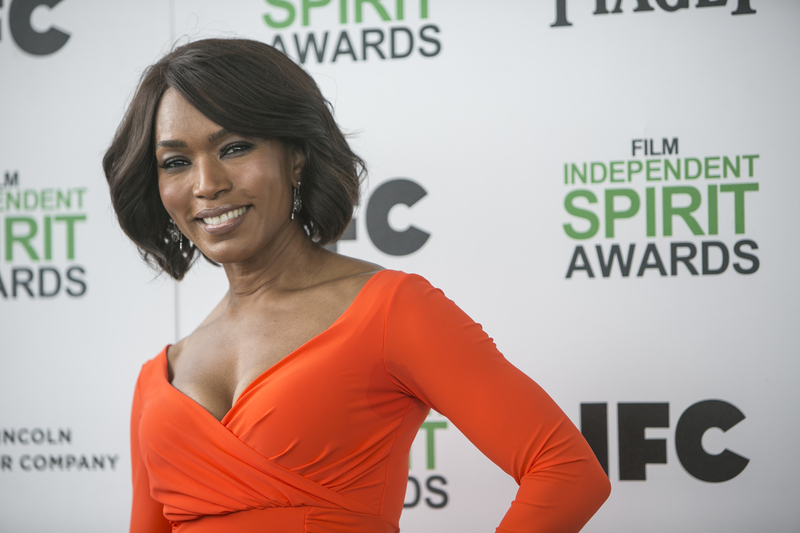 American Horror Story vet Angela Bassett is kind enough to dish out some spoilers about American Horror Story: Hotel , which suggest that Season 5 might take FX's scary series to whole a new level of nightmares this year. "I've only read three episodes thus far, so it's still pretty early, but I had to read them during the morning hours," Bassett says. "I don't like scary things or scary movies, but this one was much more of that than the previous seasons." Of course, she couldn't go into any specifics for fear of spoiling too much about what's to come. But would she consider this to be the darkest material she's ever read for the show before? "Absolutely, I think so," she says. So you may want to start scheduling your therapy sessions now, because something tells me we are all going to be in serious need of some help coping with whatever Ryan Murphy has in store. But gearing up for the latest AHS season isn't the only thing Bassett is keeping herself busy with these days. She's also partnered with Genworth to help launch its new R70i Aging Suit, which allows the wearer to experience the physical effects of aging (i.e. stimulating vision loss, arthritis, etc.) in the hopes that it will open a dialogue among millennials about long-term care. "Aging and everything that comes along with it is something that we're slow to have real important conversations about," Bassett explains. "I think this aging experience is a great tool, so I'm very excited about it." Admitting that the suit looks like something straight out of an Avengers movie, the actress — who has served as a caregiver to both her mother and mother-in-law — believes that this is the perfect approach to getting such an important message across to the younger generations. "Recently I did a video game and I had to put on something that looks similar to this in certain ways," Bassett says. "That was different for me and fun and exciting. So I hope this will generate that same kind of excitement, especially with the younger generation, who [might think] something like long-term care planning is so far in the future for them, but that's not necessarily [the case] for their parents or their grandparents." It really is a fun and unique way to get our attention. Because, let's be honest, when you combine the awesomeness of a superhero suit with the likes of Angela Bassett, you better believe people are going to sit up and take notice — especially if they're already on edge from another terrifying season of American Horror Story.